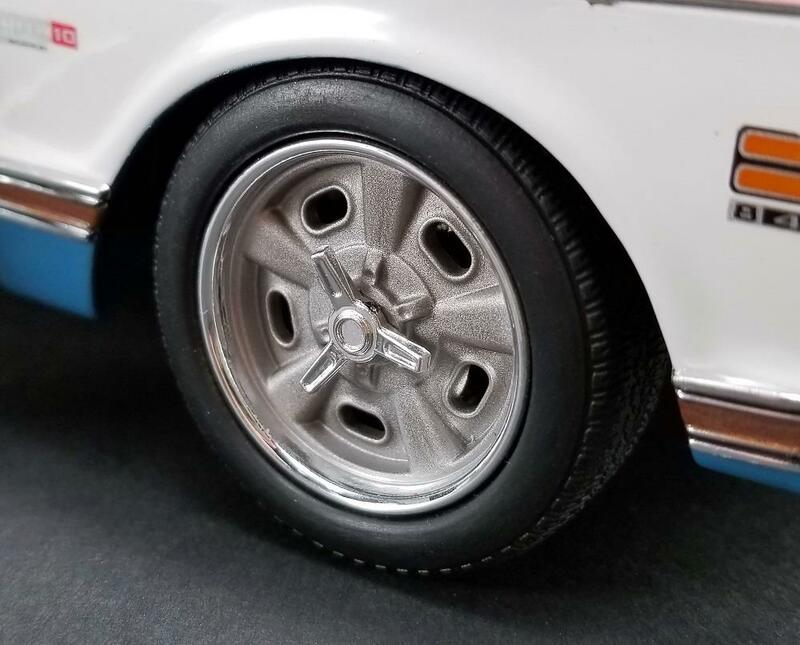 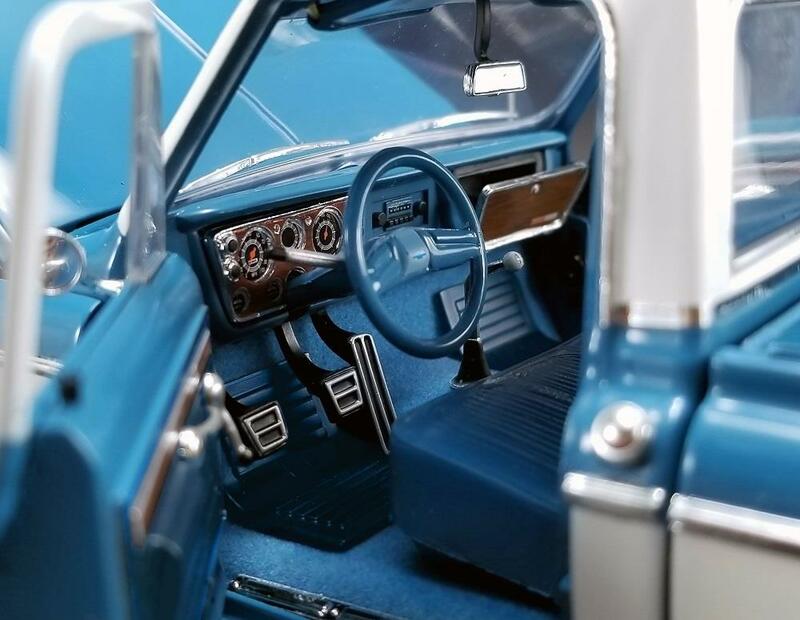 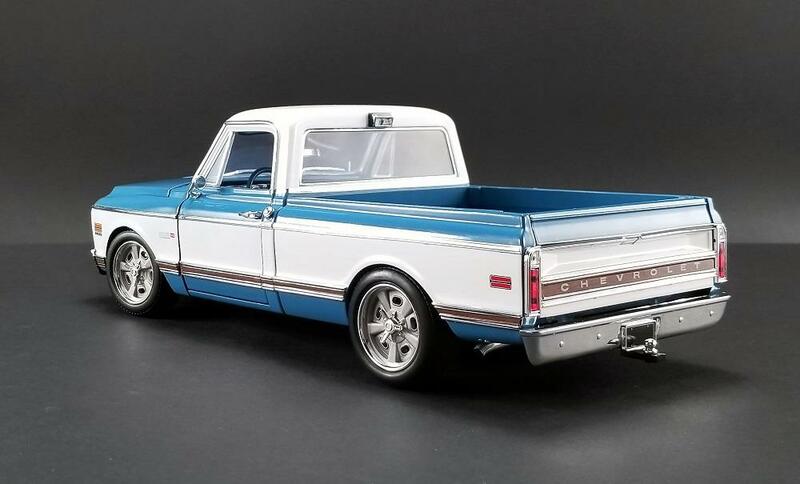 Clean lines, sturdy style, and a classic two tone blue and white paint scheme are only the beginning with this Chevy C-10 custom replica. 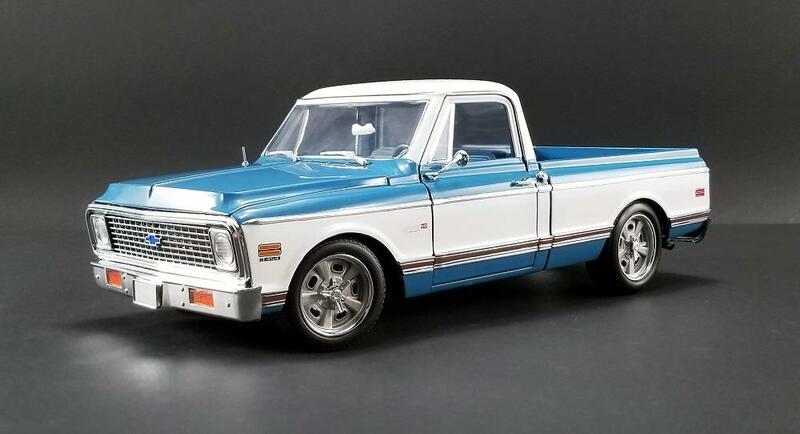 Made in 1:18 scale, this limited edition custom pickup has tons of fine details, including a staggered set of custom Indy style wheels, lowered suspension, a 1971 steering wheel and Hurst floor shifter, chrome accented gauge faces and opening glovebox, vintage-style dual inlet air intake, big block headers and full length exhaust with mufflers. 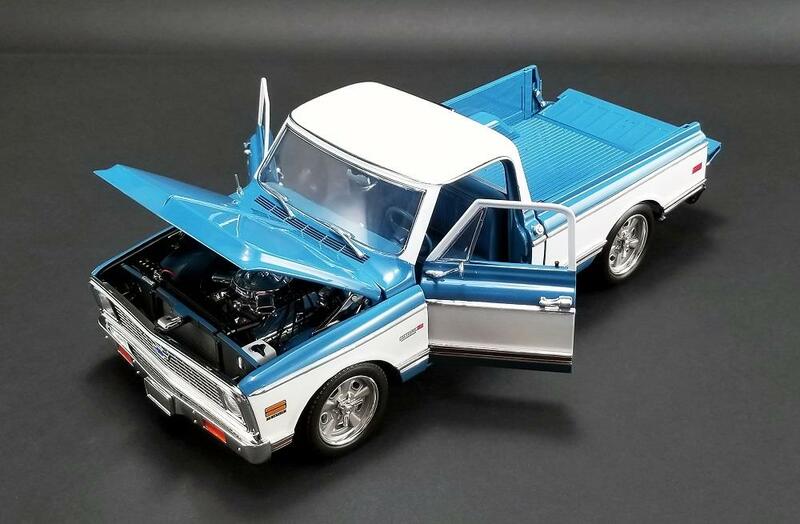 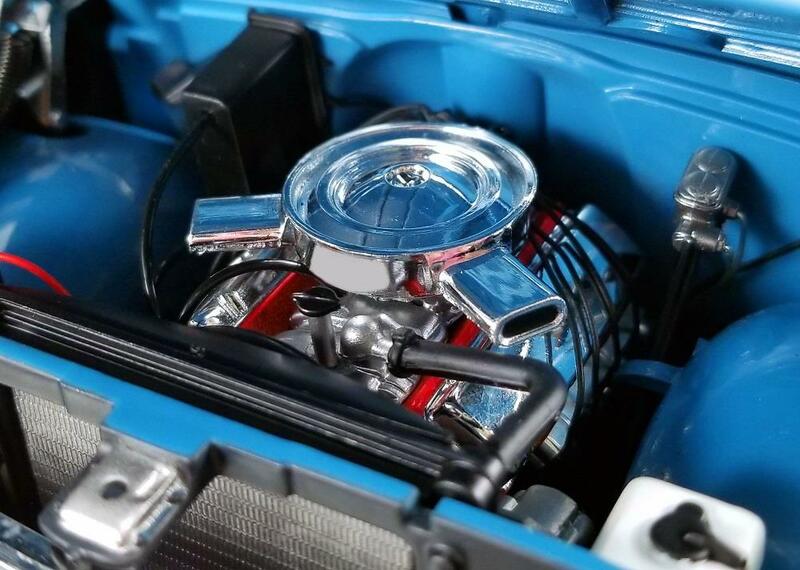 The ACME Diecast 1971 Chevrolet C-10 Custom Pickup Replica Model A1807209 was produced in a limited edition of only 750 pieces worldwide.